Your drink is only as good as the worst thing you put in it. Capture an aromatic ingredient in an infusion; concentrate a flavorful ingredient into a syrup; combine a syrup and an infusion of the same ingredient to make a liqueur. A bitter flavor will dull the crispness of a sour one. There are so many bitter flavors in this world, and you have not tasted most of them. Spices mix stunningly well with citrus. How to clarify pretty much anything. “Surnames” of drinks. But I wouldn’t get too hung up on any one nomenclature. A balanced drink is one in which every flavor is discernible. We taste first with our noses; a garnish that is not fragrant is worthless. Perfect stirring technique is silent, and when you stir a drink, strain it gently, with a julep strainer. When dry-shaking a drink, a single ice cube will prevent the shaker from leaking. The spring from your Hawthorne strainer, dropped into the shaker, will help it to froth. That vodka in your drink? It really should have been gin, unless it should have been rum. Trim your citrus peels into perfect rectangles before twisting, rolling, folding, etc. For the love of god, double-strain your shaken drinks through a fine-mesh strainer. When you serve a drink on the rocks, fill it completely with ice. More ice will slow the melting process. Drink it before the ice gets scared. Perfect the art of making ice, or at least find a reputable icemonger. Fortified wine is highly perishable — treat it as such. In an attempt to make the Bloody Mary better, many bartenders adopt a kitchen sink approach, in which they add every savory ingredient they can get their hands on. Pickles, bell peppers, carrots, celery, shrimp, onion, a boiled egg — all of these elements improve the drink only in the sense that they distract the imbiber from the ugly, ugly truth: you are drinking boiled tomato puree mixed with vodka. A drink with neither citrus juice nor fortified wine — usually a disappointment. The Old Fashioned Cocktail — a rare exception. 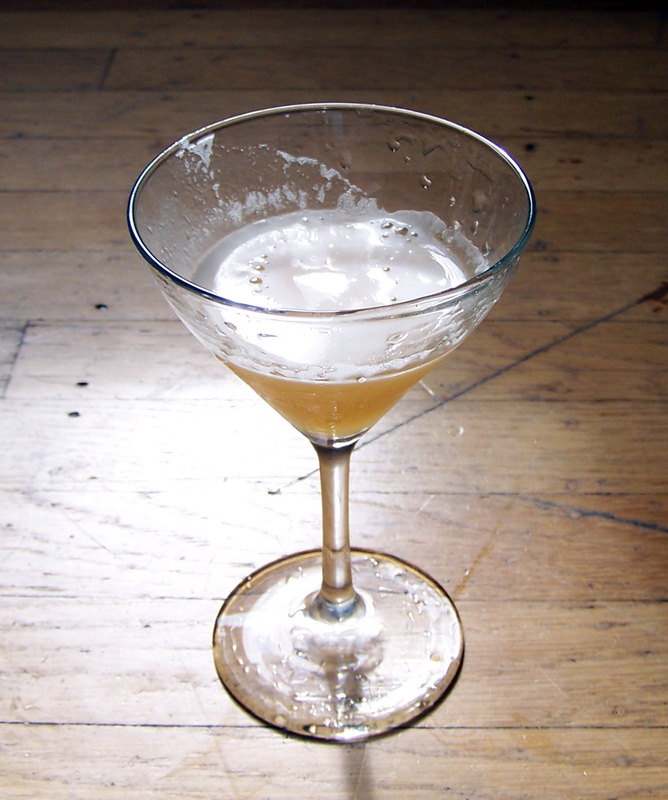 If the drink consists of other than gin, dry vermouth, and (optionally) bitters, it is not a martini. Fine whiskey needs no adornment. Taste your infusions every day. Tea infuses in an hour or two, dried flowers in four to six. Treat dairy products in drinks exactly like egg whites. A fancy occasion? A more elaborate garnish. When making a champagne cocktail, add the champagne first, then the sweetener. The sweetener will sink and mix with the champagne, sacrificing less fizz than if you add the champagne first, and then stir. The other day, I watched a bartender shake a lemon drop over one hundred times. If she wanted to ruin the drink, she could have done so with much less effort! Never touch mint with a muddler. Smack it in the palm of your hand. Pay less than fifteen dollars for vodka, and keep it in a bottle that cost more than thirty. An exercise in marketing psychology: enjoying the flavor of that which is flavorless. A game that never gets old: my rum is more obscure than yours. You only need one liquorice-flavored spirit in your bar. Pretentious is sometimes a stylistic choice. Layered drinks do not taste very good, but they sure are pretty. Drink the classic cocktails, but don’t let them constrain your thinking. Respect the tiki gods. More than two tiki drinks can take you to a dark place. Taste each ingredient separately before you mix them together. If you don’t know your ingredients, how can you know your drink? Categories: spirituality | Tags: alcohol, bartending, booze, cocktail, cocktails, drinking, drinks, mixed drinks, mixology | Permalink. Of all the merit provided herein, I’d say the last statement is the utmost, honest-to-god law anyone mixing drinks needs to abide by. Awesome post! Nice post (testament?) And thanks for the link.